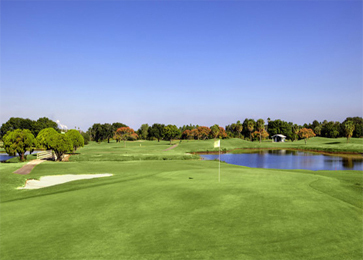 You will find the Oaks, the Palms and the Lakes nines at Sandpiper Golf Club. This 27-hole facility originally opened in 1968 with 18 holes designed by Mark Mahanna. Ron Garl, who designed all 27 holes at neighboring Falcon Watch, added the third nine, the Lakes, in 1985. The Palms, the original nine at Sandpiper, is noted for having small, mostly elevated greens. The Lakes features a winding and hilly routing that plays into a valley and out. 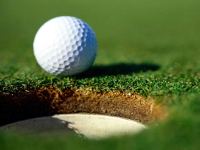 It?s certainly the most challenging off the tee, requiring golfers to shape their shots and hit fairways. It also has the most spacious greens, but that?s not always a good thing. Many people consider the Oaks the friendliest of the three courses at Sandpiper with accessible green sites that generally have narrow openings at the front of every green for bump-and-run shots.